Symphonic metal masters KAMELOT just returned from some exclusive and sold out European shows and they are now ready to unleash their brand new music video for the track “My Therapy”, taken from their latest masterpiece Haven. The “My Therapy” video serves to put a spotlight on social anxiety that effects up to 20% of adults worldwide, and you can watch this moving video on KNAC.COM right HERE. KAMELOT vocalist Tommy Karevik states: "The original idea of the song was based on experiments done years ago on children where they would be clinically taken care of, but never held, loved or nurtured. The outcome was disastrous and proves that in this sometimes complicated world spinning faster and faster, the very foundation of our health and well being really rests upon something very simple and uncomplicated... 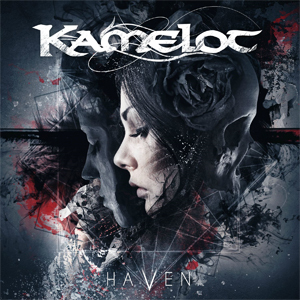 The human touch...."
Haven sees KAMELOT striving for new heights with their epic and highly emotional trademark sound: As if this album was meant to be a soundtrack for an unforgettable and monumental silver screen experience, it boasts dark melancholy, aggressive metal and soul-soothing melodies.